Are you scared of sterilising your dog or cat? Erase that idea from your mind! Sterilisation is a simple, almost painless surgical operation, which entails minimal risks and does not affect your pet's personality or willingness to play. 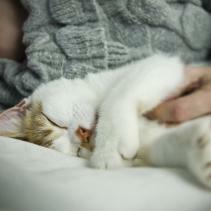 Many owners are reluctant to sterilise their cats or dogs for different reasons. Some are scared of causing suffering to their pets, while others believe that their pet's personality changes after the operation. Some of them even believe that sterilisation makes their pets gain weight. Nothing could be further from the truth. All of these topics will vanish when you find out the benefits that sterilisation may bring to your pet. If you have a male dog, you should know that neutering is a surgical operation that prevents dangerous and inappropriate behaviours, such as scent-marking, mounting and aggressive reactions to other dogs. In addition, it prevents potential prostate cancer, testicle cancer or bacterial prostatitis. In the case of cats, neutering prevents “roaming” outside their territory and scent-marking. 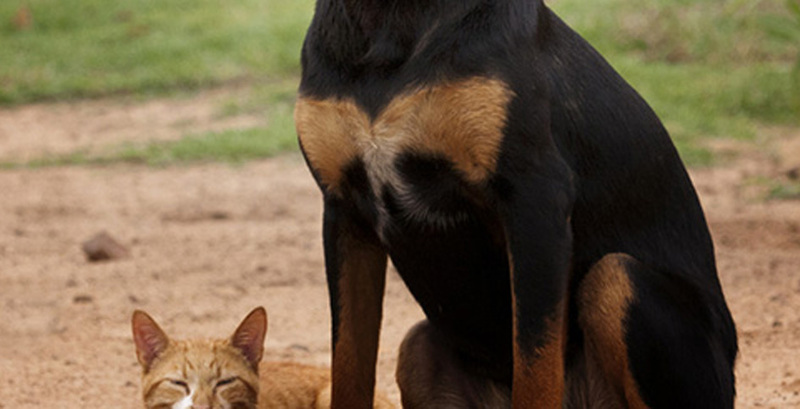 In the case of female dogs or cats, you should know that spaying eliminates oestrus, pseudopregnancy and prevents breast cancer, ovarian tumours and uterine infections (pyometrea). In addition, spaying helps eliminate female cats’ meows when they are in oestrus. Finally, with regard to the appropriate age to sterilise your pet, males should undergo neutering before they are 12 months old and females should undergo spaying normally when they are 6–7 months old. In short, sterilisation is a highly recommended surgical operation that is being increasingly weighed by professional veterinarians.